Jacqueline Fernandez has a big heart and children hold a special place in it! This is evident from the actress’ recent Instagram story, where Jacqueline could be seen meeting a group of schoolgirls. Soon after leaving from a shoot, the star saw a group of school girls and immediately reached out to them. The Bollywood diva was seen interacting and adoring her teenage fans with fun and frolic. Jacqueline took to social media to share the sudden meeting with her young friends and captioned it as ‘Best part of my Day’. The glam diva often receives love from fans across all age groups. She has shared several posts with her young fans, and some furry ones too! Dating or Good Friends? The Malaika Arora – Arjun Kapoor Files! Celebrity Airport Diaries: Say ‘Yay’ To Denim-On-Denim & Funky Shades! 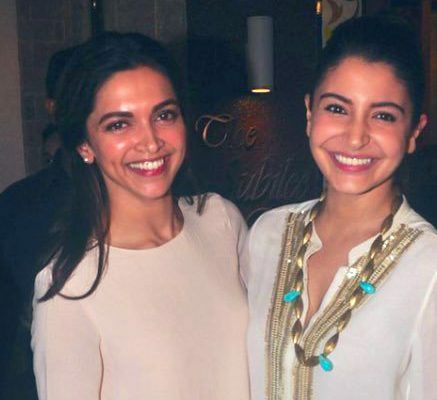 Deepika Padukone Can’t Stop Fangirling On Anushka Sharma’s Pictures!